Julian Voigt Aerial & Satellite for TV Aerial installers & Satellite Dish Installation in the Chorley Region. 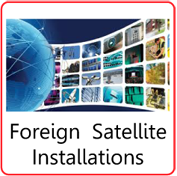 We have been established for over 10 years are the leading satellite and aerial installers in Chorley. From Aerial Installations & TV Aerial Repairs, to Freeview installations, & Satellite TV Installations in Chorley. 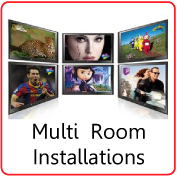 We are Independent Sky Installation experts for Chorley, including Sky+ & Sky HD Installers. 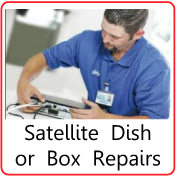 We offer Satellite Dish repairs, Sky receiver repairs and replacement, Satellite Dish re alignment and fault finding services for Freesat Satellite TV & Sky TV. Having built an enviable reputation for his work and services in the field of digital & satellite installations in Lancashire. See below for what's the cost of fitting a TV Aerial. We supply and install Digital TV Aerials and TV Antennas to residents in Chorley, Lancashire. Using only our own, full trained & Rdi Approved local digital TV engineers we supply, install and service digital systems in the Chorley area. If you are having problems with your Freeview digital TV viewing, thinking of moving house, want a new aerial or simply want some advice, give us a call. We have many customers in the Chorley, Lancashire area and we'll be more than willing to offer you advice. 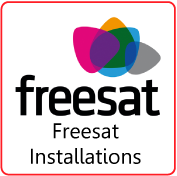 As a FREESAT installer for Chorley, different types of installations are called for, also Freesat has 3 variations; Freesat SD, Freesat HD, Freesat+ HDR (Record, Pause, Rewind Live TV & on Demand TV), that is wht an approved, experienced satellite dish installer for Freesat is recommended. Watch over 200 Channels to watch for FREE! Independent Sky Installation Chorley, including Sky Dish Installation, Sky Cable Replacement & Repair, Sky Digibox or Sky Receiver repair, Satellite Dish Repairs & Re-alignment, sky, sky+,sky HD, BT Vision and freesat installation Chorley, Wall Mounting Flat Screen TV's, and much more, when it comes to TV Aerial Installation or Satellite Dish Installations or any digital TV services there isn't much we cant do! Are you looking for a trustworthy independent Sky TV installer? Julian Voigt Aerial & Satellite are independent sky, sky+, sky HD, TV installers Chorley. Has Sky refused to, or been unable to install your Sky TV Satellite system, maybe due to the height or you require a discreet installation? In 9 out of 10 cases, we succeed where Sky fail. Experts in Sky installation, for full repairs, high access & discreet installation.